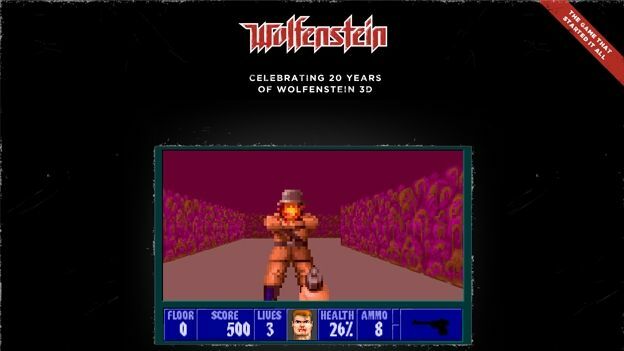 Wolfenstein 3D is now available to play in full online after id Software uploaded the entire game in honour of 20 years since the game first launched. Arguably believed to be the father of all first-person shooters the game hasn't been touched meaning you'll get that waft of gaming nostalgia the moment you head to the link here. Wolfenstein 3D Classic Platinum is also available on iPhone and iPad letting you take the classic title on-the-go as well.